Back in March 2005, I've compared Typo3 with phpWebSite. Why? Because I wanted to defend phpWebSite and most people don't know about it. If someone hears the acronym CMS, he/she more often than not associates that term with Typo3 and that's about it. That article did wonders. Not only did it receive 10.452 hits until today and is the most successful article on this very site. No, it also brought Robert Kennedy into the field who started volunteering on my site and helped me improve my not-too-understandable english. The designer of my main-reference site for Typo3, Alexander Fiss, contacted me as well. Apparently, he experienced a couple of hits from my site. Fast forward to July 2005. 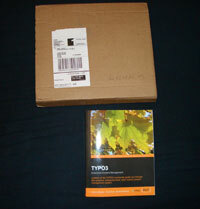 Arnab Bhattacharya from Packt publishing contacted me and invited me to review Packts new book about Typo3. I was flattered and very happy about that invitation, of course I agreed. Mr. Bhattacharya agreed to send me a free copy as soon as the book was ready for shipping. I received my copy last week. Even though this is my first �professional� review of something, I've already asked myself a couple of things. What would I expect from a Typo3 book? How should it be structured? Should it be printed in colour? A book about web design for example would surely benefit of that. Or should it be printed in black-and-white to save cost and make the reader focus on the actual content? Who's the target audience? Should the book be written for decision-makers? That would require a thorough introduction in CMS, eCommerce, online-marketing, medial aspects of the web, and so on. And it would require the mentioning of at least a couple of other CMSes, there are quite a few of them. Or should the book be targeted towards people who already have Typo3 and just want to use it to the best extend possible? Should the book be written for the technicans, who set up the site structure? Or for the administrators, who keep the backend running? Or maybe for the editors, who put in the actual content but don't touch the site design or the database? All those questions show that designing a book about Typo3 is no easy task. Let's see, what Packt made out of it. On the back of the book, theres the usual short-summary of it. So what does Packt Publishing write about the target audience? So: This book is not for decision makers, neither is it for web designers. At least that's what I'm concluding from this description.